Camel uses a simple lifecycle interface called Service which has a single start() and stop() method. Various classes implement Service such as CamelContext along with a number of Component and Endpoint classes. 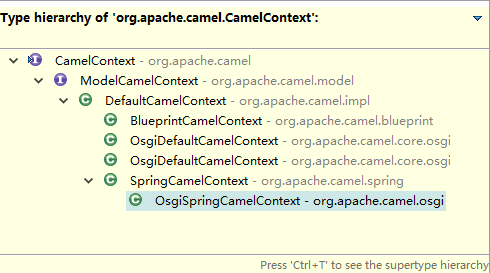 When you use Camel you typically have to start the CamelContext which will start all the various components and endpoints and activate the routing rules until the context is stopped again.